We loved these truly wireless earbuds when they cost $80 more. Wireless earbuds help you tune into your music on the move without the risk of getting tangled in cords, and today, one of our favorite pairs is on sale for the lowest price we’ve ever seen. The Bose SoundSport Free true wireless headphones, which we’ve named our favorite truly wireless workout earbuds, are on sale for $169 at Amazon today, down from a list price of $199 and an original price of $250. Bose’s earbuds are designed for adventure, with playtime of up to five hours on a single charge, plus 10 more with their charging case, as well as water and sweat resistance. Their design is comfortable but secure so they’ll stay in place during even your most intense workouts. Although they’re a little bigger than similar headphones, they’re light enough to avoid weighing you down. They also have excellent reception and killer sound quality. We gave these headphones 4.5 out of 5 stars for their strong bass, killer sound, exceptional connectivity, weather resistance, and long battery life—and that was at $250. At $169 on Amazon today, the Bose SoundSport Free truly wireless earbuds are a steal. 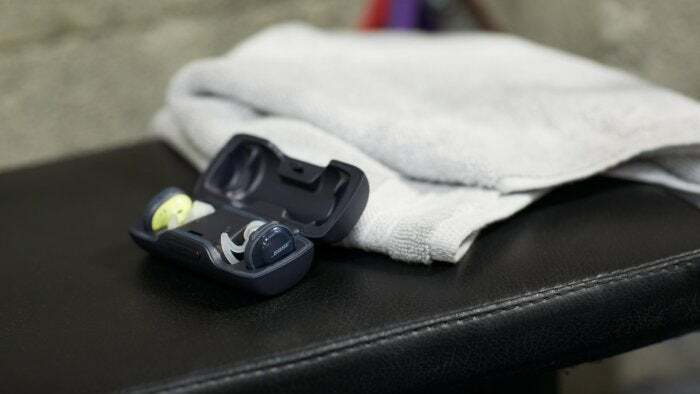 This story, "Bose's SoundSport Free, the best truly wireless earbuds for exercising, are cheaper than ever" was originally published by PCWorld.